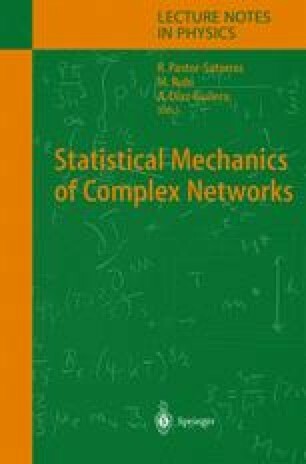 The rate equations are applied to investigate the structure of growing networks. Within this framework, the degree distribution of a network in which nodes are introduced sequentially and attach to an earlier node of degree k with rate A k ˜kγ is computed. Very different behaviors arise for γ < 1, γ = 1 and γ > 1. The rate equation approach is extended to determine the joint order-degree distribution, the degree correlations of neighboring nodes, as well as basic global properties. The complete solution for the degree distribution of a finite-size network is outlined. Some unusual properties associated with the most popular node are discussed; these follow simply from the order-degree distribution. Finally, a toy protein interaction network model is investigated, where the network grows by the processes of node duplication and particular form of random mutations. This system exhibits an infinite-order percolation transition, giant sample-specific fluctuations, and a non-universal degree distribution.